Learn how to take advantage of this valuable information and lower your scores! Fairway Hit - When the first stroke from the starting tee lands on the fairway on a Par 4 or higher. 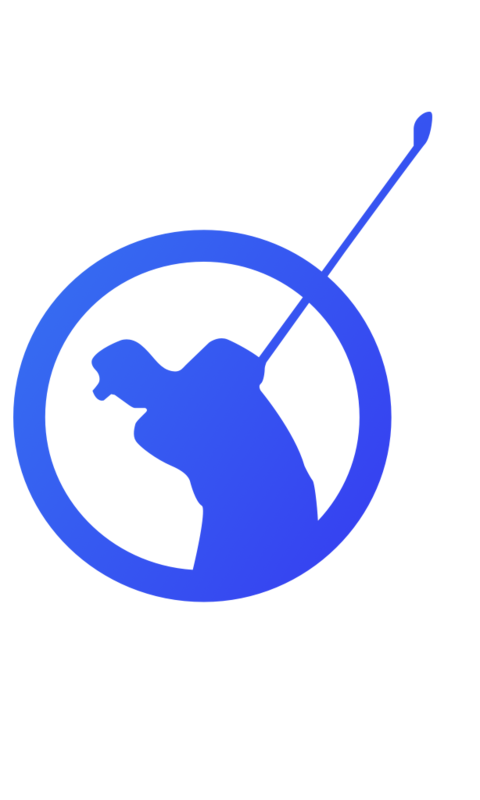 The graph below shows that the largest percentage of the time (62.2%) this golfer hits land on the Fairway and that when the Fairway is missed, the ball has a tendency to go off to the right. Some golfers have a natural tendency to hit balls to the left or to the right. This graph can be used to clearly identify that and track your progress as you improve your accuracy off the tee. Hitting a ‘Green In Regulation’ usually means a golfer has reached the green within 2-shots of the holes par. - On a Par 5, a GIR is when you reach the green on your 3rd shot. As you can see in the image, the GIR is 43.9%, meaning that 43.9% of the time this golfer is hitting the green in the regulation number of shots. You can use your per hole putting average as an indicator of how solid your putting game is. This section also allows you to analyse how your Putting is in a GIR situation. For instance, an average putt per Hole lower than per GIR can indicate that the accuracy of your long shots needs some work (because hitting the GIR usually requires a longer shot than when you miss it). In this example, we see that the accuracy doesn’t depend on how far the player is from the green. By comparing how you perform on each type of hole, you can draw some conclusions about your game. For instance, a low score to par on a Par 3 (compared to Par 4 and 5) could suggest that your long game is better on shorter distances. Up & Down - The percentage of time a golfer was able to make an approach shot to the green and take one or no putts. Scrambling - Tracking this particular statistic allows golfers to measure how often a bogey is avoided after missing the green with an approach shot. This usually requires a golfer to chip or pitch onto the green and then make par with only one putt. Sand Saves - Percentage of time a golfer was able to get ‘Up & Down’ when in a greenside bunker. How you handle the pressure and recover from a bad shot can be the difference between a score that lowers your handicap and one that sends it upwards. These graphs will give you a great indication of how good you are at recovering from a poor shot and the green is missed (Up & Down and Scrambling) or when you land in those greenside bunkers. Awesome insights for measuring your golfing resilience! Finally, this graph sums up your game level. It provides a breakdown of your scores per hole according to the outcome. Use it together with the other graphs to set objectives and track your progress.